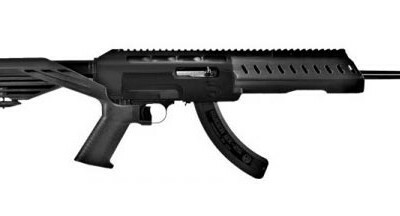 The Slide Fire 1022 Buttttock SSAR-22 utilizes the same groundbreaking design and technology as the SSAR-15 line of stocks, offering the same level of performance, reliability, and superior craftsmanship for the classic 10/22 rifle. The SSAR-22 allows the shooter to safely bump fire their 10/22 rifle from the shoulder, effectively and legally simulating fully automatic fire, and allowing for an unprecedented measure of control that is severely lacking when attempting to bump fire a rifle in the traditional, “from-the-hip” manner. 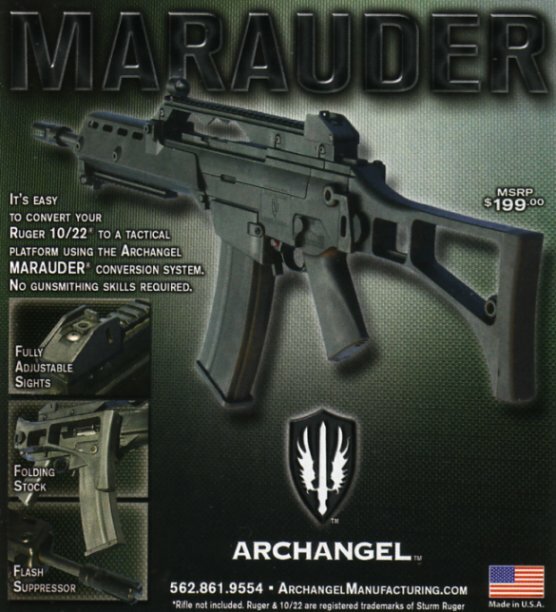 Magpul has really hit the ground in 2015 with products for the AR15, Remington 700, Glock Pistols, Ak47 and of course our much loved Ruger 10/22. 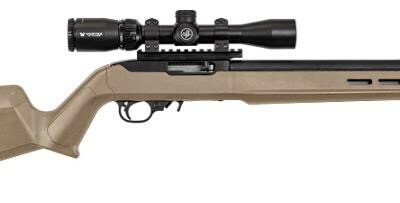 The Magpul Ruger 10/22 entry comes in the for of a 2.4 pound stock called the Ruger 10/22 Hunter X-22 Stock. The Magpul Ruger 10/22 Hunter X-22 Stock is available in five colors, black, stealth gray, flat dark earth, olive drab and foliage green. 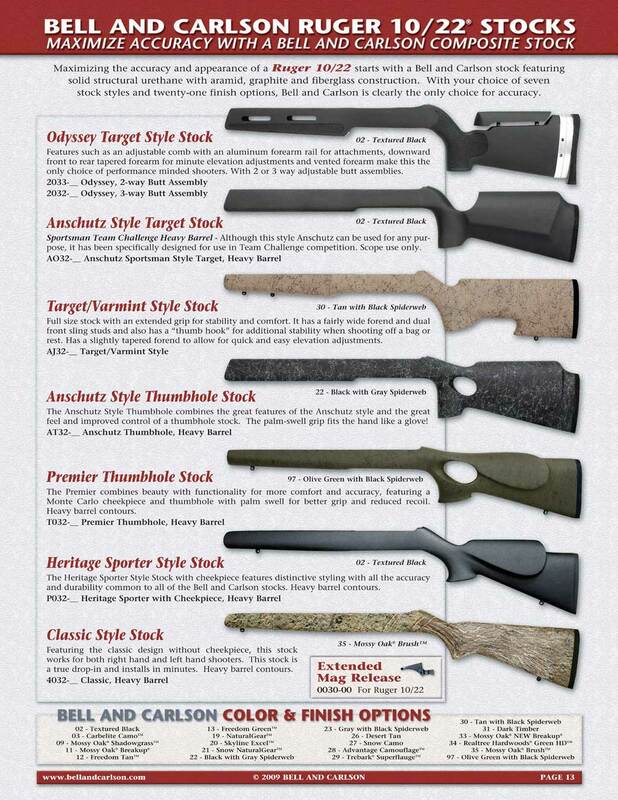 The Ruger 10/22 Hunter X-22 Stock has a reversible insert that allows for standard or bull barrels. Today my BELL & CARLSON ODYSSEY STOCK FOR RUGER 10/22 showed up at the office. I was very pleased as the stock is much nicer in person than internet pictures would lead you to believe. A few test fits with the CLARK CUSTOM RUGER 10/22 BARRELED ACTION revealed that some minor fitting of the stock will be required. There’s some stock material interfering with the barrel clamp and the barrel is touching the stock near the end. No big deal.